Italian Pasta recipe by Neha Raisorry No Pic Taken at PakiRecipes.com. cucumber, apple , kiwi, bananans in a large dish for serving. Put 4 spoons of oil in a pan, put in 1 onion . Leave the pasta to bowl in a pan for 10 or 15 mins til the onion is red put in 2 spoons of salt and 2 chiilis, 1 tomato for the taste of Italy, cut the potatos in 2 cubed squares and put them in the pan to be cooked leave them for 10 mins. 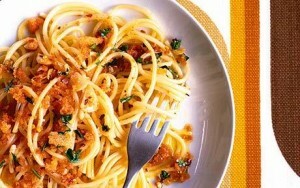 Mix it with 1 cup of water and olive oil, then put in the sweet corn and pour in the pasta with the egg yolk and herbs. Now put it in a serving dish then put some milk in a pan and some black pepper with eggs to make a sauce blended with some garnished corriander for the taste and flavour and know its ready to be eaten with some sauce.